You won’t meet a group of people more obsessed about getting out on the water and we’re letting you into our inner circle. Follow our blog for up to date information from those that love the lakes the most. Summer has officially begun and the Oars-n-Mine Summer Fishing League is back! 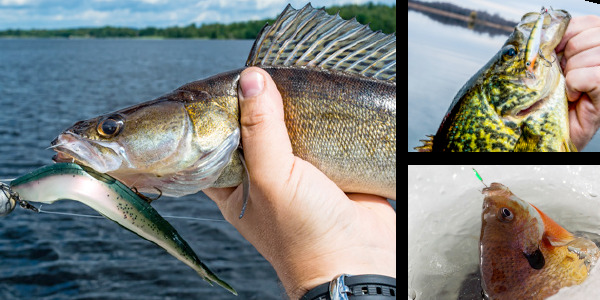 Wednesday nights we will be hitting new waters in search of walleyes, bass and northern pike for a multi-species smash! 2-person teams, 3 hours each individual event and cash payouts to the winners each night (up to the top 3 positions depending on number of boats entered) as well as ONM gift certificates for the biggest fish. We always have room for more boats and there are 2 ways to enter yourself and your favorite fishing partner for the fun. There is a season option which is $200 per team (which pays your entry into each event as well as your entry into the total season points format for additional prizes at the end of the season) or you can pick and choose which events you would like to fish and pay $20 each event. Either way, we'd love to have you join us! If interested in learning more or to get signed up contact Jesse Williams @ 218-831-0267 or stop in Oars-n-Mine and let us know. Augers and Electronics for Christmas! With ice coverage on nearly all area lakes there's certainly a buzz around town and it sounds an awful lot like an ice auger! Some of the area's smaller, shallower lakes have been getting some play and are kicking out some panfish and pike thus far. 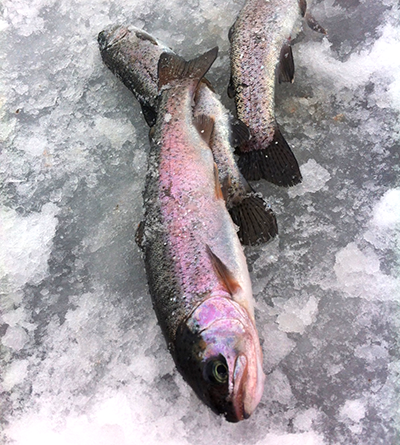 Walleye fishing on ice in the area may be a cold-snap away yet, although with no snow cover on the newly formed ice it wouldn't take a whole lot for cold temps to blast a few inches of clear ice coverage onto our local walleye waters. With all of the buzz surrounding the early-ice conditions we have great news for you; if you're in the market for a new auger or flasher, Oars-n-Mine has the unit you desire in stock and we are price aggressive! ION, IONX, K-Drills, Jiffy propane augers, Strikemaster, Eskimo, Marcum, Vexilar, Humminbird; the list is long! There are some all-new offerings from Strikemaster and ION this year in the auger market and some brand-new units from Marcum and Humminbird in the flasher market as well, and we have them all IN-STOCK at great prices! Humminbird took a huge step forward in the ice market this year by making it easier for their loyal open-water customers to convert their favorite summer electronics to ice by introducing the ICE Portable Conversion Kit. If you already own a Humminbird Helix 5 or 7 this kit comes with everything you need to take that unit off your boat and have an adaptable ice unit with Lakemaster capabilities; case, power cables and even the winter transducer are included! Marcum took their ever popular lineup of flashers and added their MBC Lighting, making these displays the sharpest and brightest on the market. The biggest change for Marcum this year is the addition of their Lithium Shuttle, which features a built-in lithium ion battery pack that outperforms the standard 8 amp batteries while dramatically reducing overall weight. They also incorporated some very useful plug-ins to charge/run other devices off of the shuttle as well as a built-in LED light. The Lithium Shuttle can be purchased on a new flasher or as a replacement shuttle for any existing Marcum unit. Eskimo upped the ante a bit in the propane auger market this year with the introduction of the P1 Rocket auger. Based off of their durable and powerful HC40 propane engine they redesigned the gear box transmission and added a cast bottom for precision blade contact to create the fastest and lightest 9the 10" version weighs in at only 28 lbs) propane auger on the market. Strikemaster is back in the lithium auger game and boy did they come with stiff competition for the green-machine ION! The all-new Lithium Lazer is a 40V powerhead featuring improved ergonomics and a built-in LED light so cutting in the dark is no match. 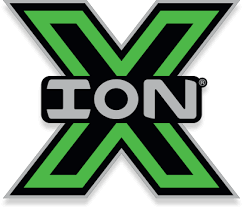 In an attempt to grab some of the market that is so firmly gripped by ION, they are offering 2 battery packs in each of this year's augers, a major value for anyone that drills more holes in a day than 1 battery can handle! Competitively priced as well, this auger will surely find it's way into arsenals across the ice belt.